Flat rate is usually the standard for new businesses. For example, you may set $8 for domestic shipping and $12 for international orders. However, customers might be turned off by this especially for those with lower order values. Most companies in the industry use this method to meet customers halfway. 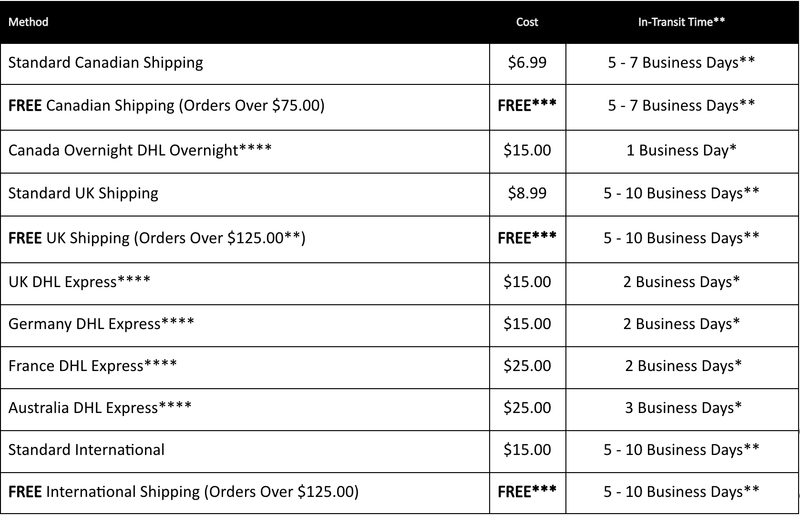 Customers will purchase more to meet the minimum order so that they can get free shipping. This is for companies who are capable of absorbing the delivery charges to provide free shipping within a territory. Larger companies, like ASOS and Boohoo, are able to provide this service in the UK because they have the scale. While it entices customers, this would be difficult to achieve for a new brand. Setting your shipping charges will differ from courier to courier. It usually depends on the weight/size of the package, distance travelled and time. Every postal service will have its own shipping calculator, a quick internet search of “(delivery service provider) shipping calculator” should give you a few examples. Alternatively, you can set up a shipping calculator directly into your website by looking for the plugin of your web software. To provide a fully professional service, provide tracking numbers and insurance. Although this will increase the cost, it would certainly help in the situation if the parcel is lost or damaged. For example, FashionNova only has express shipping internationally to Canada, UK, Germany, France and Australia. For other countries, only standard shipping rates are available.